A body was discovered on Tuesday afternoon off Wire Grass Road in Robeson County, according to the FBI and Lumberton Police Department. 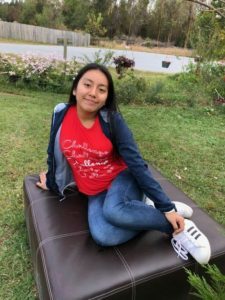 The discovery was made at about 4:45 p.m. today as investigators were following leads in the case of missing Lumberton teen Hania Aguilar. On Monday, November 5, Hania was waiting outside her home in the rosewood Mobile Home Park on Elizabethtown Road for a relative to take her to school when she was forced into a stolen green Ford Expedition. Her abductor is described as wearing as being dressed in black clothing with a yellow bandanna over his face, according to the FBI. The stolen SUV was located on Quincey Drive in Lumberton, according to the FBI. 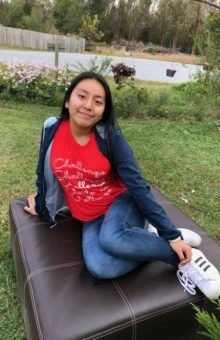 A reward offered for information leading to the location of Hania and the arrest of the person responsible for her abduction has reached $30,000, according to reports. BladenOnline.com will have more details as we learn them.